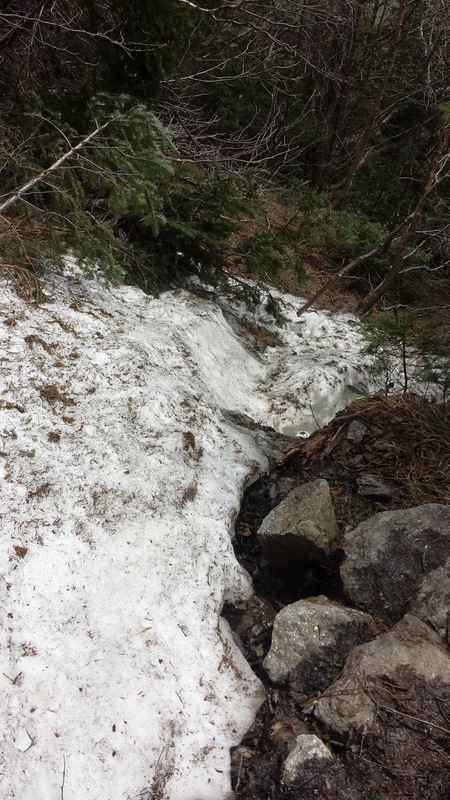 There are a great many short hikes around the base of Mt. Washington. One of those is a hike to Low's Bald spot. 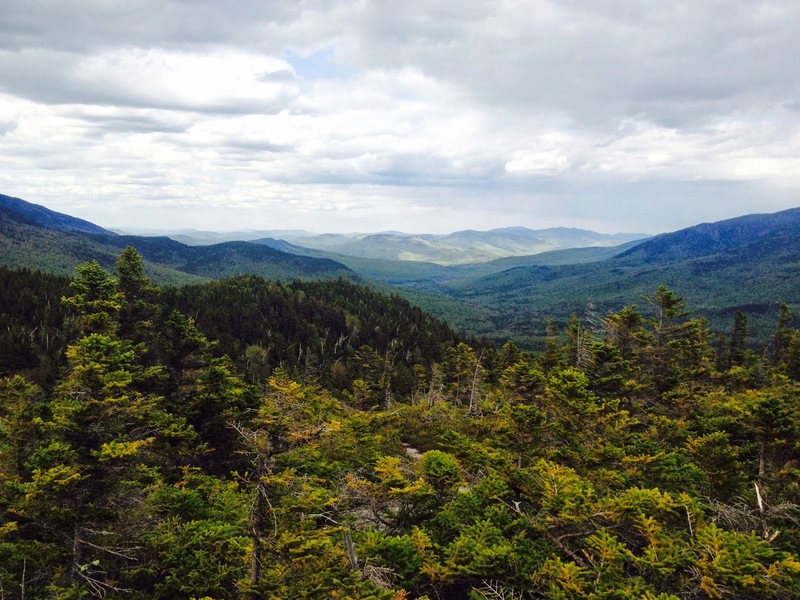 It is a 1.7 mile trail with only a few steeper sections to negotiate. It is a gradual incline that you know will be a breeze to hike back down. 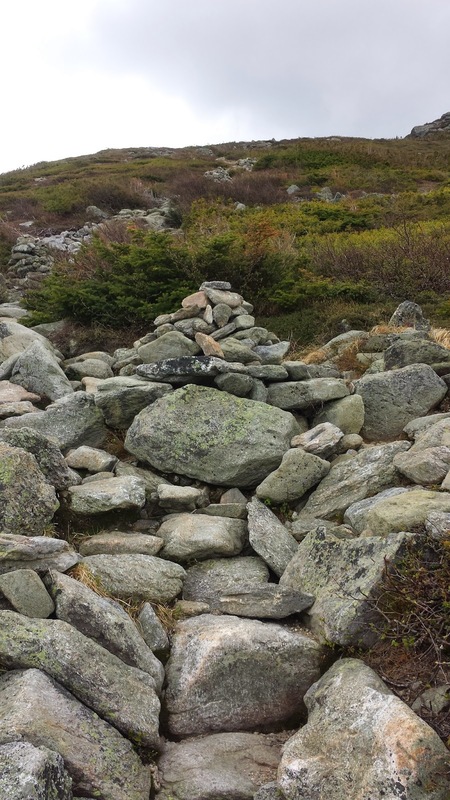 I know that I was looking forward to my trek back to the Pinkham Notch Visitor Center because it would be all down hill and easy sailing. summit of Madison Hut. To get all the way up to the Bald Spot, you start out by taking the Old Jackson Road trail. This trail is relatively straight and extremely well-marked. It's a great trail for a group of people or a family to use if they are looking for a short and easy hike for an awesome view of the mountains. I noticed that the trail was muddy in a few places, but there were adequate ways to maneuver around those spots without getting your feet wet. Once I got to the top of the last rock, the trail was a little hard to follow, but I found it off to the left and continued on to better views. Each rock seemed to be the last, but the trail continued to another with an even more amazing and unobstructed view of the valley. There were at least 50 miles of visibility! This is an awesome spot to take a lunch or snack break! The rocks are flat and good for naps or a picnic with an incredible view of the expansive mountain range in front of you. The way back down was incredibly easy and the muddy spots did not pose a problem of any kind. Overall, this hike was an awesome experience and I will surely be doing it again in the near future! 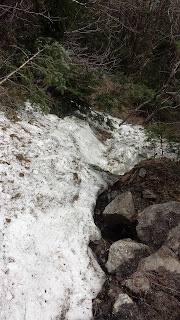 Skiers are still skiing Left Gully in Tuckerman Ravine although the Headwall is officially closed until it completely melts out for the summer! Hikers are ascending Lion's Head or Boott Spur to get to the summit of Mt. Washington. Both still have some issues. You could officially still use crampons and ice ax on Lion's Head Summer Route!!! It's a short 100 feet but with a wallop of a fall if you do slip. BRING MICROSPIKES at the very least..last night was cold enough for an inch of snow to fall and everything to freeze solid! 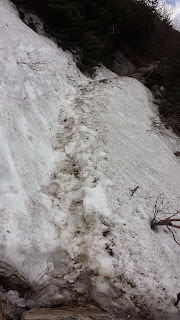 As always you can check AMC conditions for the latest report from the snow stakes and/or call us here at Pinkham to see what we’re seeing out our windows and for the best trail advice we can give you! Above Treeline is the easy part! We are available by phone at (603)466-2721 every day from 6:30 AM to 10:00 PM or by email at amcpinkhaminfo@outdoors.org. To make reservations at AMC Lodges and Huts, please call (603)466-2727 available Monday through Saturday 9am-5pm.